ICR computer lab technicians possess the skills required to repair or refurbish industrial computers, monitors, and human-machine interfaces (HMIs). Many of the items we receive have already become obsolete, and support has lapsed from the original equipment manufacturer (OEM). 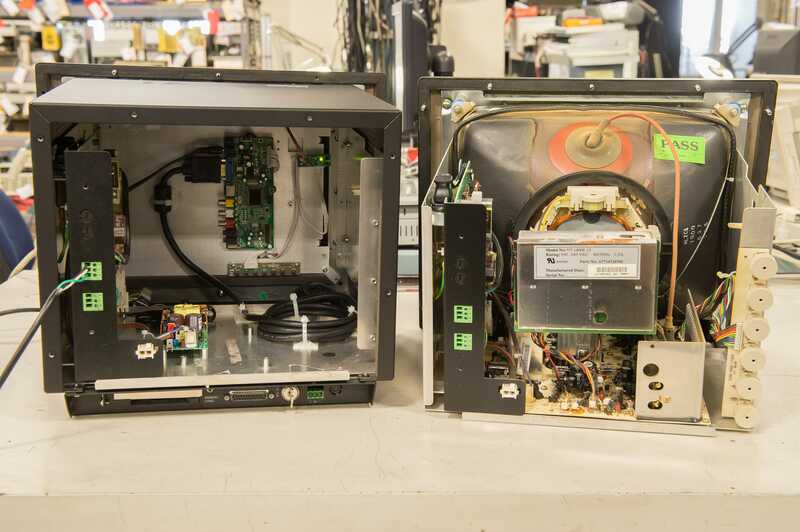 Because of our broad knowledge base, ICR technicians can restore obsolete equipment back to original OEM settings and condition. Before repair, ICR technicians utilize dynamic testing to determine the condition of the devices. Then, after a thorough inspection, components are replaced based on the part under repair or refurbishment- services all included in our preventive maintenance program. During the final testing phase, equipment and parts are checked for functionality, including linearity and logic unit functionality. ICR developed a process and procedure to replace CRT deflection assemblies with a modern LCD display. Analog deflection circuits and CRT components are first removed, and then re-engineered with new digital LCD technology with technicians being careful not to compromise the original functional specifications of the units. Additionally, features like remote control ability to adjust display specification can be applied to LCD technologies. Unlike procedures utilized by our competition, when repairing industrial-based computers and equipment, ICR’s technicians begin evaluation from the inputs of devices. 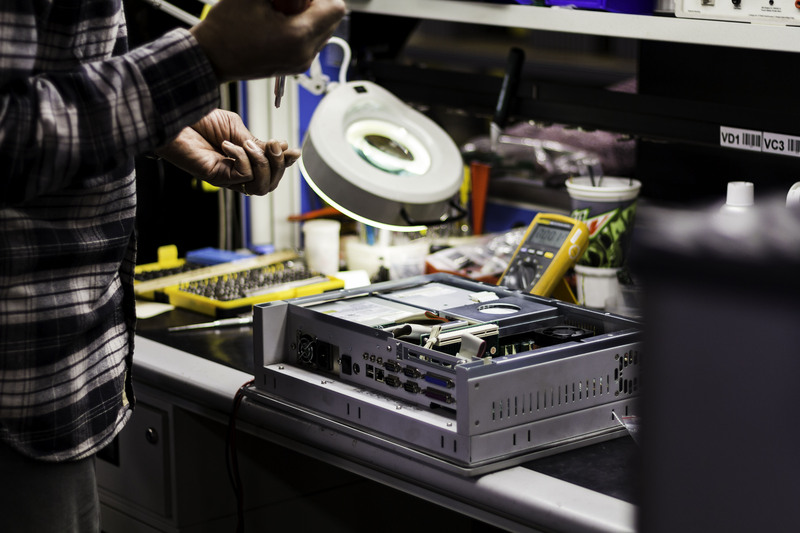 Our technicians then work their way through each device and finish on the power supply, which ensures operability throughout use. At ICR, we never label a repair service as complete until we restore each device back to its original OEM settings or greater. We back all of our repaired parts with a one-year in-service warranty furthering our commitment to quality.